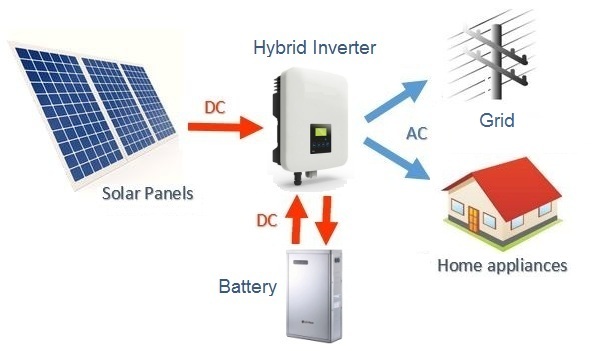 The simplest and most economical way to add battery storage to a home is using an all-in-one hybrid Inverter. The all-in-one inverters contains a solar inverter, charger and battery inverter with wifi software monitoring and metering. Off-grid solar systems also known as stand-alone power systems (SAPS) have advanced rapidly over the last decade with a wide variety of smart inverter and lithium battery systems now available. A modern AC coupled off-grid solar power system with Fronius Primo solar inverter coupled to the powerful Selectronic SP PRO 7.5kW inverter/charger. The shift from traditional DC coupled lead-acid batteries towards more advanced scalable lithium battery systems over the last 2 years has provided much more flexibility and options when sizing off-grid systems. In addition the reduced cost of solar panels has made it more cost effective to oversize the solar array and reduce back-up generator run time during times of prolonged bad weather. 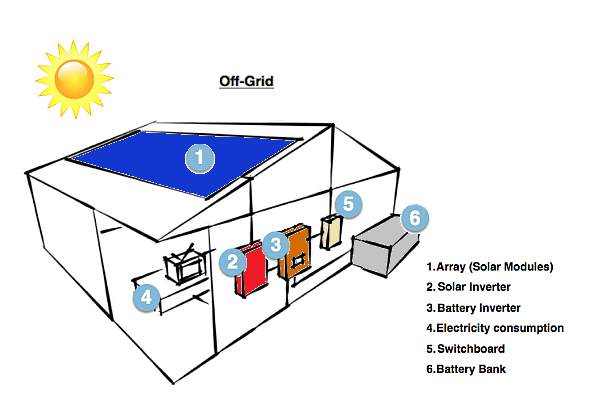 How to select a solar battery or off-grid power system? Many people new to solar can become overwhelmed by the number of options and complexity of the various solar and battery systems available. Here we try to explain the reasons why people choose home solar batteries and the costs involved. Going completely off-grid is also considered by many people who are sick of being ripped off by electricity retailers or by those who have chosen to live in a more remote location. The Tesla Powerwall compared to leading lithium and sodium based batteries LG Chem and Aquion, plus proven lead-acid and advanced lead-carbon batteries in the solar hybrid battery challenge! Below is a comparison chart of the most popular lithium and lead-acid battery systems available on the market in 2019. Read the full details and cost comparison in our complete solar battery review article. Performance and lifetime comparison of the leading home solar battery systems - Including the Popular Tesla powerwall 2, LG RESU range and high performance Simpliphi PHI lithium LFP battery. 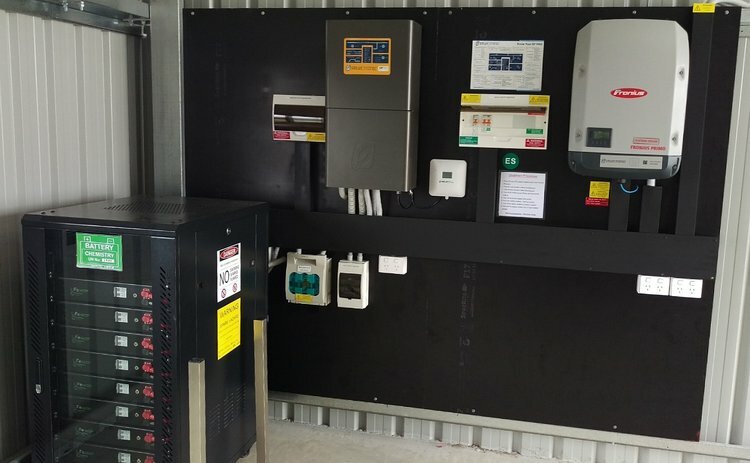 With the new generation of hybrid solar inverters, complete hybrid energy storage systems and battery storage options now available on the market, we at CER have put together a summary of what's available and what's up and coming. Review the Australian made Selectronic SP PRO multi-mode off-grid and hybrid inverter. AC-coupled system with ABB solar inverters and gel VRLA battery bank. The high-end Schneider Conext XW+ solar hybrid system with large 24kWh battery bank. Redback Technologies hybrid solar inverter with the Pylon Tech (LFP) 2.4kWh battery module. The MPP Solar hybrid solar inverter from Voltronic with seal Lead-acid battery bank.